Safe playground storage for toys and equipment is always a priority at kindergartens and preschools. 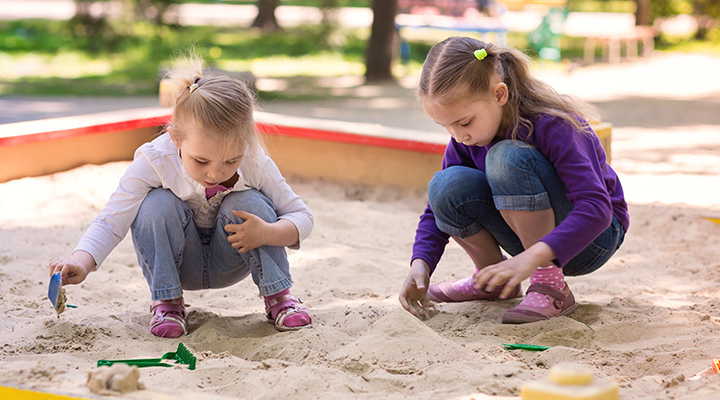 The range of options available is quite large; manufacturers such as Keter and Suncast specialise in plastic outdoor storage solutions such as boxes, benches and cabinets and these have significant advantages in a playground environment. Firstly, they are robust enough to handle the treatment that even the most energetic youngsters can hand out as well as being made from a UV-stabilised polyethylene resin which resists the onslaughts of Australian weather conditions. Secondly, the units are relatively lightweight. This is important because it ensure that lids and doors are not so likely to cause injuries to small hands which get in the wrong place at the wrong moment! Obviously, care has to be taken to prevent mishaps, but there is a significant difference in the potential for injury between a wooden or metal door and a plastic one. 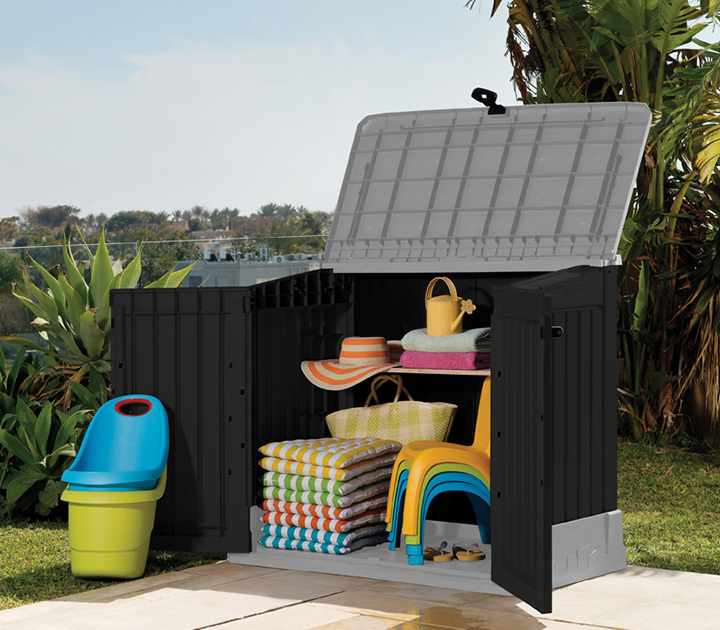 The KETER STORE-IT-OUT MIDI has proved popular in playground storage applications – simple to assemble and excellent value at $299.00 including free delivery from Landera. This storage cabinet has the added advantage of gas strut supports to assist opening of the lid – this feature also prevents the lid closing rapidly, a plus for safety.